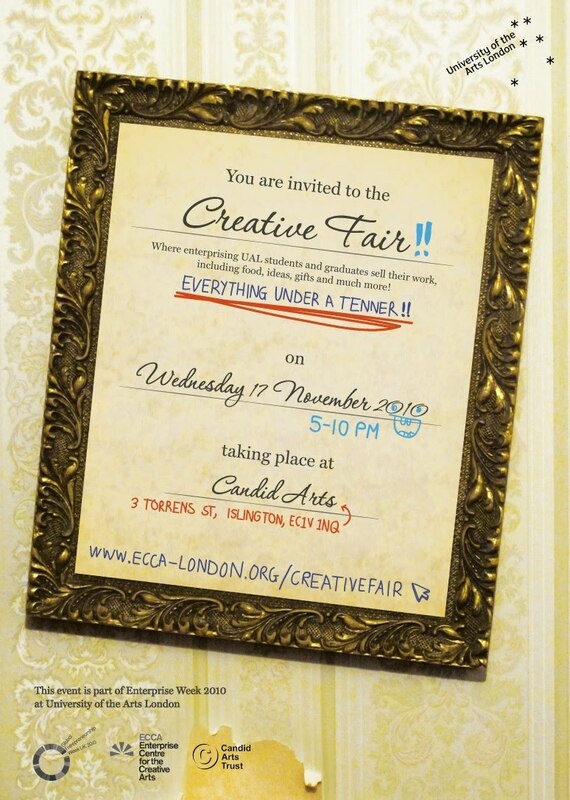 Creative Fair Event Date for the Diary! 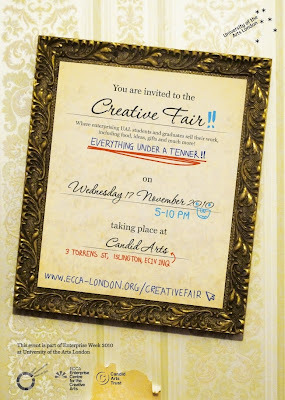 Creative Fair – everything under a tenner! So fortunately for us being graduates of UAL we've been offered a stall at their Creative Enterprise Awards night in Islington which will be a night of networking, drinks and celebration! The award winners will be announced on the night and there will also be the chance to sample some products and services from other enterprising UAL students and graduates who will be selling you something very unique and handmade for under £10! It’s a great chance to pick up a bargain in time for Christmas as well as seeing at firsthand the entrepreneurial talent of the University’s students and alumni. At the event we will be selling a small selection of our wares, among our handmade stash you’ll find; Greeting Cards, Tea-towels, Oyster Card holders, Brooches, Hairclips & Handprinted Coin Purses. All for a nifty £10 and under!